RE: Is the Cervinis Stalker Bumper "ricey"? Are ya cooking rice? cuz i smell rice. i don't mind there body kits.. its not as ricey as a black widow or a razzi. it's not the worst kit i've ever seen either.......but it's close. [sm=thanx.gif] however, the DirtyGT is no longer with us thanks to Katrina. I didn't get the whole kit either. the rear bumper sucked and the side skirts were not doin it for me. but the front bumper was pretty alright. 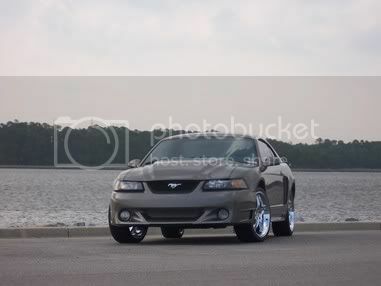 but check out the SVT forums and help me decide on a new hood for the lastest addition to my fam. Which hood? sry. didn't mean to thread jack. Quick Reply: Is the Cervinis Stalker Bumper "ricey"?